Throwing a few ingredients isn’t the same thing as creating a true bowl of food, and nobody knows this better than Robin Asbell, author of the spectacularly gorgeous cookbook Great Bowls of Food. Want to know how to create the most beautiful Buddha bowl ever, or the quintessential quinoa bowl? Read on! “Bowl food” is a popular trend that is here to stay. Sure, there will be times when we want our food served in courses, but in the daily quest to eat delicious food that truly sustains you, the bowl is your go-to. We all want a great bowl. But what makes a bowl that is more than just a random pile of leftovers? 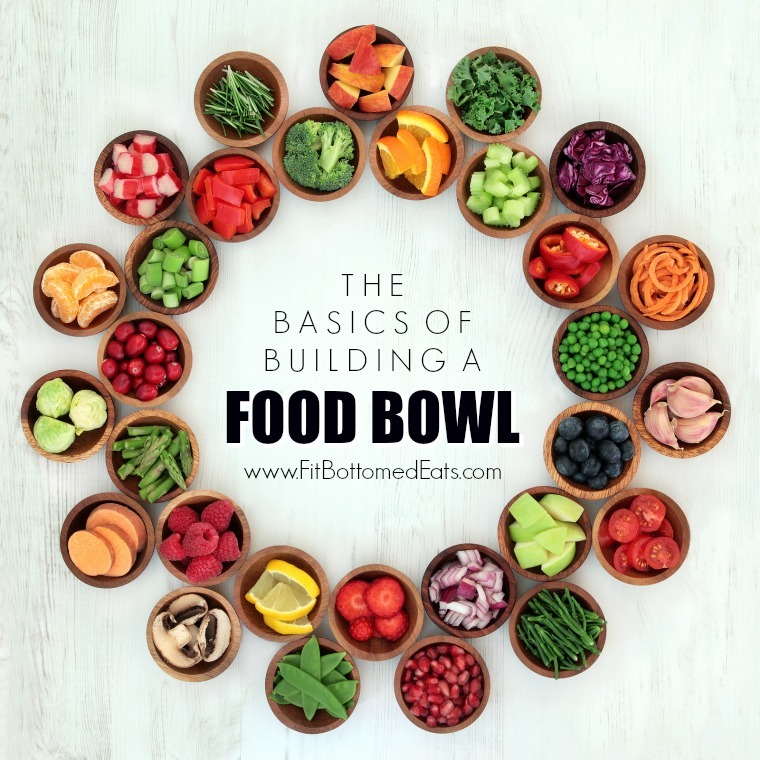 Well, I’ve spent the last few years creating bowls and wrote a book about it, called Great Bowls of Food, so I have some tips and tricks for making a lunch or dinner in a bowl. Look: Your first impression of a bowl comes through your eyes. A great bowl is Pinterest-worthy, with a lively combination of colorful foods carefully composed on top. Color is crucial. Smell: Think about your sense of smell, too, and entice the diner with appealing scents, like ginger and garlic, curry and other spices. Taste: Of course, a great bowl has to have enough flavors going on to keep your mouth entertained with every bite. It’s key to the whole bowl experience that you have a variety of “flavor zones,” so that you can take a bite of something salty, then something tangy, then something a little more creamy. Chew: With a well composed bowl, you have lots of great textures, and plenty of chewy and crunchy sensations in the same mouthful. Bowls all start with a base. Spread the bottom of your bowl with something relatively neutral, like whole grains, cauliflower, zucchini or potatoes, or even beans or lentils for a protein boost. You’ll notice that all of those foods are high in fiber and nutrients, unlike white rice or plain noodles. Whole grains have more texture, too, and their chewy, sometimes crunchy texture adds to the experience. Some of the best bowls start with quinoa, brown rice or oats, but don’t be afraid to try barley, buckwheat or wheat berries, for even more whole grain fun. Bonus points on this part of the bowl come when you drizzle a little dressing or sauce on the base and mix it in, before placing the other elements on top. On top of your base, you need color, crunch and an assortment of flavors. This is always best accomplished with large quantities of veggies. A handful of slivered kale on one side is a verdant contrast to a heap of shredded carrots, glowing with orange goodness. Scarlet pickled beets, red peppers or tomatoes give you some red to make it all pop. Make sure to season each veggie as it goes on, even if it’s just with a pinch of salt or spritz of tamari or hot sauce. Your proteins can be exciting, too, as you pick the perfect complement to all that is going on below. Toss some leftover meat in barbecue sauce? Roast tofu in teriyaki? Or just rinse some canned beans and give them a sprinkle of vinegar. Nuts and seeds amp up the protein, too, and add great crunch. A few cashews or walnuts can make a drab bowl suddenly irresistible. Now come the final touches, the toppings that make or break a great bowl. Is your dressing or sauce going to be drizzled tantalizingly over the stacks and piles of colorful veggies? Make sure it is a flavor-packed one, and don’t be shy with intense flavors like garlic, ginger, aged cheeses, spices, miso and good oils. Balance sweet and sour, playing honey, soy and rice vinegar together, or bottled barbecue sauce with a dollop or two of dijon mustard alongside to wake up your palate. Give the whole affair a jolt with a pinch of kimchi or pickles of any kind, a crumble of cheese, or some surprising fruity bits. Once you try some great bowl recipes, you will get the hang of it, and learn to customize bowls for all your moods, as well as your family and friends.